The London mirror cabinet in a black stained oak finish is a great addition to any contemporary bathroom. The London collection offers classic beauty with clean lines. 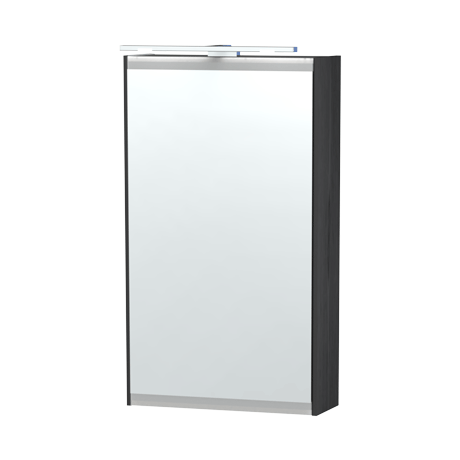 This stylish mirror cabinet features include a soft closing double sided mirror door, 2 internal glass shelves and a frosted edge to prevent fingerprints. Fitted with mounting rails and brackets for adjustable and quick installation. There is also an option to add LED lighting and an IR sensor which are sold separately.